Four key opportunities could spark instability in the Arctic in 2019. Not a day goes by without a mention of a looming new Cold War in the Arctic. Apparently, conflict between Russia and the West is now linked inextricably to the phenomenon of melting icecaps. Russia’s Arctic interest has, however, not matched its assertive foreign policy elsewhere — as per Ukraine or Syria. Russia is the largest Arctic state and has a long history in the Arctic, predating Vladimir Putin. Moscow’s Arctic interest is to be expected and in reality, Russian Arctic strategy is logical in its scope and ambition. Unfortunately, this does not provide attention-grabbing headlines. An Arctic conflict agenda is fanned incessantly, which serves to cloud its relatively cooperative environment. However, 2019 will present four clear windows for the region to potentially backslide — proving security pundits right. The first potential avenue for Arctic competition to intensify is related to control of the Northern Sea Route (NSR). The NSR is an attractive maritime route — namely for China — which slashes global transportation lead times and costs. 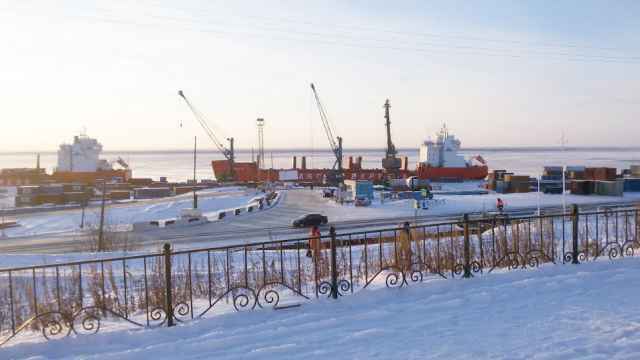 Situated within the Russian Exclusive Economic Zone (EEZ), hugging Russia’s Arctic coastline, the transport corridor has a long Russian history. Recently, Russia has clamped down on the NSR and moved to restrict foreign transit along the corridor connecting Asia to Europe. Vessels are now required to submit notice to Russia some 45-days prior to voyage, host a Russian pilot during their transversion of the NSR and pay increased transit fees. Further, Moscow argues it has the right to refuse passage and fire on (read remove) vessels which violate the new rules. Over the past few years, Putin has paid increasingly special attention to the NSR, now a hallmark of Russia’s Arctic strategy. Arctic hydrocarbon resources are no longer the sole driving force of Kremlin strategy in the High North. Largely due to the prolonged stagnation of the global oil price, the new priority for Russia appears to be control over global transportation through the Arctic. Russia’s new approach to the management of the NSR indicates a significant shift in Putin’s assessment of the region. In 2000, a then acting-President Putin, believed it was “unacceptable for anybody to have special rights to use the Northern Sea Route”. How times have changed. 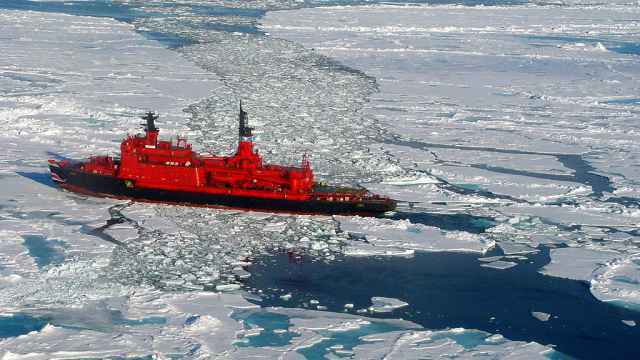 Russia now uses its ‘special rights’ under Article 234 of the United Nations Convention on the Law of the Sea (UNCLOS) to redefine the rules of Arctic transit. This clause gives Arctic coastal states, party to UNCLOS, the right to ‘adopt and enforce’ maritime law in their respective Arctic EEZ’s (mainly for environmental reasons). It paves the way for states to deny freedom of navigation or innocent passage rights to foreign vessels. For some, Article 234 is not a relevant defense as they view the NSR as an international strait (in which UNCLOS is not applicable). Whether or not the NSR is deemed an international strait or internal waterway comes down to differing translations of international law. Evidently, Moscow has signaled its understanding of the law. Thanks to bolstered military capability along its Arctic coast, Russia now has plenty of bite to its bark over who can access the polar silk road. A second opportunity for regional competition to increase is the implementation of a new U.S. Arctic Strategy. This renewed strategy is likely to move away from the existing Obama-era focus on climate change and environmental security. We can expect the U.S to be reactionary, in particular, to double down on a perceived power grab by Moscow and Beijing in the region. A reactionary strategy is rarely ever a smart policy, nor does it prove successful in communicating the contours of long-term interests. Perhaps, however, we expect too much from Trump in thinking that he has a long-term vision for the Arctic. Trump’s focus on Arctic affairs is confined to cutting Washington’s red tape — opening up the U.S. Arctic Wildlife Refuge’s coastal plain for oil drilling. Trump’s proposed 2020 budget indicates the U.S. will further step back from environmental leadership in the Arctic. The National Science Foundation and Environmental Protection Agency are set to attract huge cuts — particularly the U.S. Office for Polar Programs and the Directorate for Geosciences. Likewise, the National Ocean and Atmospheric Administration (NOAA) will lose all funding for its Sea Grant and Coastal Zone Management programs. For now, the most realistic outlook is a very absent U.S. in the Arctic. Given Trump’s preoccupation with borders it is perplexing as to why the entire U.S. Arctic front is forgotten. The third area for competition to potentially spill-over into conflict is the overlapping territorial claims to the North Pole — held by Russia, Denmark and Canada. Here, the central territorial challenge in the Arctic is over the continental shelf. Russia resubmitted an Arctic territorial bid back in 2015, the claim was previously rejected in 2001 due to lack of geological evidence. 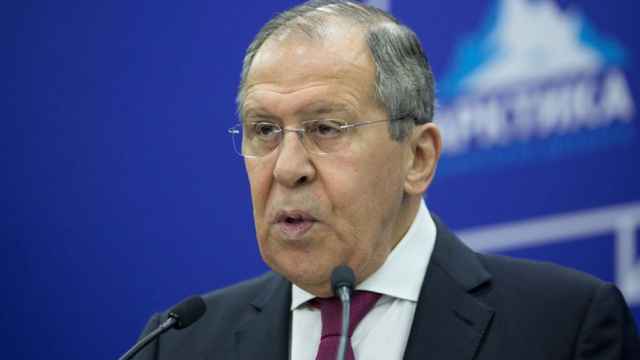 Russia’s renewed bid provided evidence to support Moscow’s claim that the Lomonosov and Mendeleev Ridges are natural extensions of the Siberian continental shelf. The same continental shelves are also the basis of Denmark’s formal Arctic claim submitted in 2015. Both Russia and Denmark have worked bilaterally to de-escalate their overlapping territorial claims to the North Pole. Whether these discussions will eventuate in solid policy and a formal agreement is yet to be seen. Of course, this would not be anything extraordinary, as cooperative agreements over maritime borders are quite commonplace in the Arctic — see Norway and Russia’s agreement over the Barents Sea. 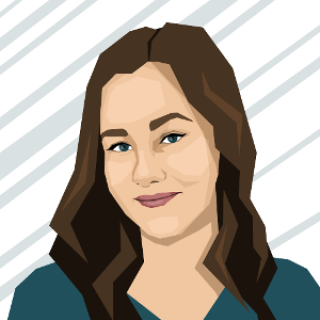 The wildcard will be Canada, who in 2019 is due to submit its formal Arctic claim for consideration to the UN Commission on the Limits of the Continental Shelf (CLCS). Canada has until now only submitted a partial case for its claim to the Arctic underwater ridge as an extension of the American Continent. Should we expect Putin’s Russia to cede territory? Energy – specifically liquefied natural gas (LNG) — represents a final potential driver of Arctic competition. Under Putin, Russia has refocused its strategic interests in the Arctic. For Moscow, the vast resources of the Russian Arctic serve as its future economic base. Offshore deposits are now largely deemed to be commercially unviable. The real economic gain, for now, is Arctic LNG on the Yamal Peninsula. Of course, no one expected the rapid foray of Russia into the global LNG market. Russian Arctic LNG has gained momentum thanks to foreign investment, most recently from Saudi Arabia’s Aramco, in Novatek’s LNG project. Situated on the Arctic peninsula, the Arctic-LNG plant is able to make use of the NSR to securely supply the Asia Pacific market. In particular, the emerging ASEAN markets. 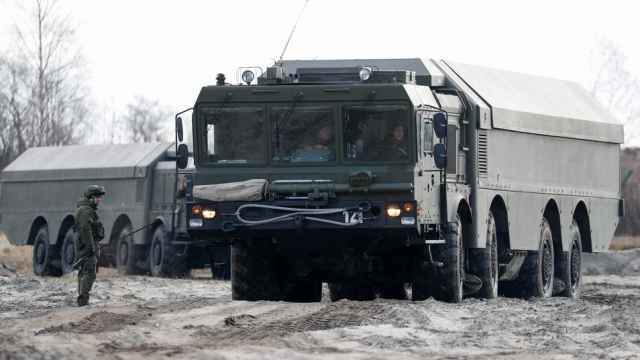 To protect its vast economic interests, Russia has ramped up its military presence in the region by reopening Soviet-era military bases and deploying short-range missile installations along the border. Canada, also recognizing an increased global interest in the Arctic, has also worked to strengthen border defenses. That said, Canada’s drone surveillance program is less confronting than short-range missile systems. Heading into the 2020’s, Russia’s Arctic strategy will be geared at bolstering their international standing and securing Moscow’s economic resource base well into the future. Given that Western sanctions will persist, this will be facilitated through continued foreign investment with China, who has demonstrated its ‘near-Arctic’ ambitions. The U.S. will likely produce a new knee-jerk Arctic policy this year with very little strategic or long-term substance. The region will remain on the outskirts of Washington’s agenda for some time after that. Yet, Arctic states all have a greater challenge on their hands. A recent U.N. environmental report has the Arctic ‘locked in’ for a temperature rise of up to 5 degrees by 2050. In a mere 30 years the Arctic will be an entirely different operational environment altogether. 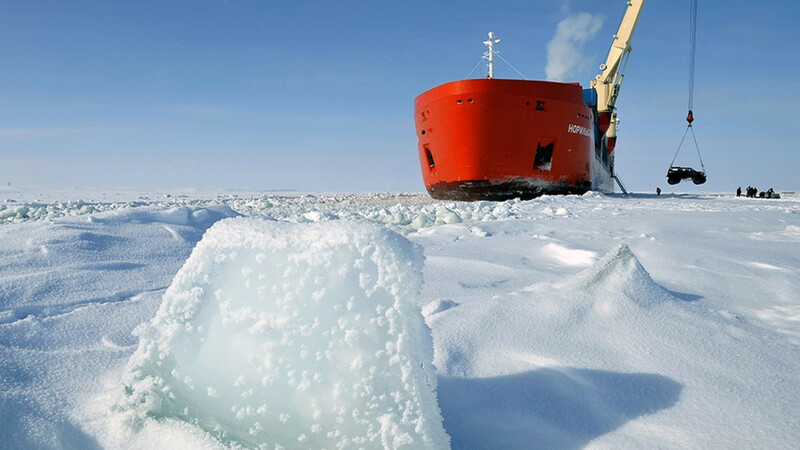 The new Arctic will be one in which Greenland’s ice-cap will be no more, Arctic Ocean sea levels will rise impacting the coastal port networks, the loss of Arctic summer-ice will negate the fleets of heavy-icebreakers in ‘winter’ and the list goes on. Crucially, the regions military installations — the state of art outposts, radars and infrastructure will be operationally challenged for all parties. The future of the Arctic will be determined by how seriously Arctic powers treat the mutual security threat of global warming. 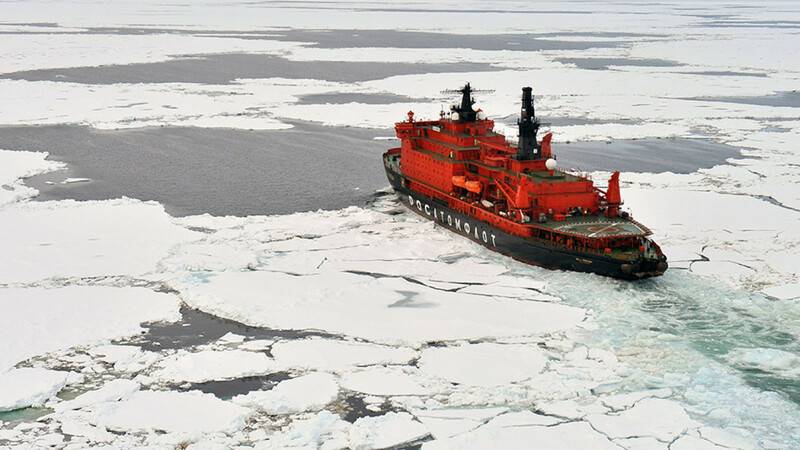 Moscow sees the Northern Sea Route as a bridge between Asia and Europe for its energy exports. Countries are gearing up to develop the area’s untapped oil and gas deposits as climate change accelerates the rate of ice melting. “Rocket fire will be launched at a remote target simulating a group of enemy surface ships,” a spokesman said.